Many foods are packed with vitamins and nutrients that you need for good vision. Foods such as carrots, sweet potatoes, bell peppers, blueberries, and broccoli contain many vitamins to strengthen your eyesight. Other foods for good eyesight include oily fish, eggs, and nuts because they provide essential nutrients for your eye health. Of course, there isn’t just one food that protects your vision from age-related degeneration. However, foods containing the proper vitamins for eyesight can help protect against cataracts, eye diseases, and prevent vision loss. Lowering high blood pressure, quitting smoking, and having a healthy weight can also help protect your vision. In this article, you will learn about the best foods and nutrients to help improve your eyesight. You will also find out how to protect your vision and maintain a good eye health and function. Good nutrition plays a vital role in vision health and preventing age-related eye disorders. Scientific research points to the fact that many eyesight-related diseases are linked to poor diet and nutrition. Research has identified what the best vitamins for eyesight are. For example, beta- carotene (vitamin A), vitamin E, and vitamin C help to lower your risk of age-related eye disease. Also, nutrients for healthy eyes include omega-3 fatty acids, zinc, lutein and zeaxanthin. Enjoying healthy foods that help make eyesight better can help prevent age-related macular degeneration (AMD), cataracts, and glaucoma. (1) Age-related macular degeneration (AMD) is a common eye condition that is a leading cause of vision loss in people aged over 50 years. 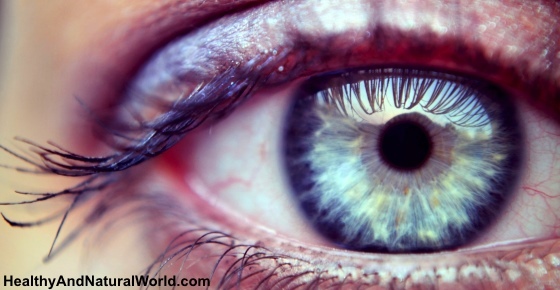 Let’s look in more detail at some of the best foods to eat to improve your eyesight naturally. A good diet for eye health should contain 2 or 3 servings of oily fish every week because of their omega-3 content. Fatty fish such as salmon, mackerel, and sardines are good sources of nutrients that help protect eye health. Researchers have found that omega-3 from oily fish and seafood helps prevent age-related macular degeneration. Find out more about the best sources of omega-3 to help improve your eye health. Eggs are a healthy addition to your diet if you want to help strengthen your eyesight and prevent age-related vision problems. Eggs are a surprisingly healthy food that is a good source of protein. Find out how many eggs you can eat without affecting your cholesterol levels. You may also be interested to learn if there are any benefits in the egg diet. If you want to strengthen your eyesight and help ensure better vision as you get older, it’s important to get enough vitamin A. It is important to know that a vitamin A deficiency can cause more health issues than just poor vision. Let’s look at a few of the best foods for your eyes that contain plenty of vitamin A. Carrots are a good source of vitamin A that can help to make your eyesight better. One of the best sources of vitamin A that may help in making your eyesight better is liver. Because it is a good source of vitamin A, you can also add sweet potato to your diet if you want to help improve your eyesight. Find out more about the benefits to your eye health, cardiovascular health, and digestive health of eating more purple sweet potato. One of the top vegetables for good eye health could be red bell peppers because they contain both vitamins A and C.
In order to prevent macular degeneration, it is essential to consume foods rich in vitamin C (ascorbic acid). Citrus fruits are some of the best fruits for eye health and to prevent age-related vision problems. Find out why starting your day with a refreshing glass of lemon water is a great idea. A glass of lemon juice can help flush out toxins and increase your vitamin C intake. If you want to improve your eye health, you should include kiwifruit in your diet because it is rich in “eye” nutrients. Broccoli is among the many foods that help to prevent macular degeneration because of the compound sulforaphane. Learn more about why you should consume more broccoli as part of a diet to promote good eye health and vision. Green leafy vegetables contain many of the nutrients you require to enjoy good vision in later life. Let’s have a closer look at some of the best leafy vegetables that can help improve your eyesight. Kale is a superfood that can help protect your vision because of its high levels of antioxidants. Find out about more of the amazing health benefits of eating kale. Eating spinach will help you get many of the necessary vitamins and nutrients required for improved vision. If you want to consume foods that improve your vision, you need to include vitamin E-rich foods in your diet. Vitamin E is also necessary for healthy skin, hair, and health. Learn about more ways to get enough vitamin E in your diet. One of the healthy oils for good eyesight is olive oil because it has high levels of vitamin E.
Extra virgin olive oil has more benefits to your health, not just for your eyes. Many nuts contain nutrients that may help make your vision better and prevent vision-loss problems as you age. You can help improve your eye health through your diet by including berries for their nutritional value to improve macular health. Berries are good to eat as part of a nutritious diet to boost vision health because they are high in vitamin C and antioxidants. Blueberries are rich in antioxidants called anthocyanins that help protect against retinal damage. Did you know that eating more blueberries may also help boost your brain function and improve your memory? One way to help improve your vision through diet is to include more goji berries. When it comes to choosing the best foods to improve eyesight, it is also important to include zinc-rich foods in your diet. Of course, taking a diet rich in zinc may not help improve your eyesight fast. However, a diet rich in vitamins A, C, E, and zinc can help to make your eyesight better over time. The researchers said that folate is mainly found in cereals, dark-green vegetables, citrus fruits, bananas, and dairy products. As for other B vitamins, the researchers say that thiamin (B1), riboflavin (B2), niacin (B3), and vitamins B-6 and B-12 were not significantly associated with macular degeneration. I had this problem that when ever I watched tv or sat at computer when I used to get up I would have double vision for at least 10 to 15 mintues.Then I started taking a tbsp of mustard seeds mixed with an egg,after 4 or 5 days this problem disappeared.Mustard has the highest amount of zinc and have made a habit of making this combination 2 to 3 times a week. Also make sure you get tested for food allergies/intolerances and remove the offending foods this will lessen any inflammation. Then make sure you add in foods that are super healthy nutritious and take out the SUGAR!!! !